At Kickdynamic, we like your not-so-typical conferences. We like great content, inspirational speakers and entertainment all wrapped up in one. That's why we like EiQ, hosted by BrightWave; the balance of entertainment, education and networking is just right. And we discovered a love for Atlanta! We like the approach that EiQ takes by not looking back at trends of the past but ahead at future opportunities as that is where our industry is going. We're all for celebrating successes and learning from previous decisions, but we are also driven by our mission to help email marketers send better email. We want to help brands finally achieve their personalization goals and we're only at the beginning of that journey. The industry has been talking about personalization for years - let's stop talking and start doing! At this year's EiQ, we are most looking forward to the 'Personalization at scale: When content & data get together' session. In order to achieve true personalization at scale, to every individual recipient, your content needs to work with your data. By moving away from manual, time-consuming builds to automating this process, you're able to send unlimited versions of one html to your subscribers, tailored to individuals based on their preferences or behaviours. We're also keen to discover what the speakers reveal in the 'Edge of the Inbox' session. It's now more important than ever to be providing compelling, meaningful customer experiences in email and real-time content is one great way to do just that. As our customer expectations evolve and grow, bland and static content is not good enough, we need to be pushing the boundaries to stand out in a very crowded inbox. More than anything, we're looking forward to a great event with our fellow email marketers. 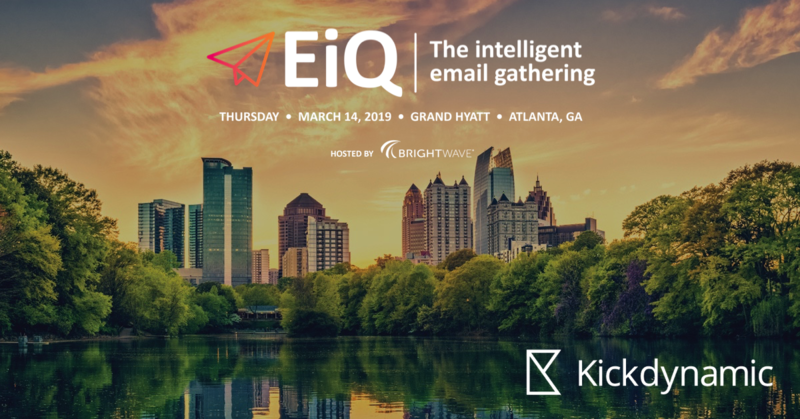 Last year's EiQ was a stand-out event for us; from the marching band to the email Family Fortunes, we can't wait to see what surprises this year's EiQ has in store! We'd love to hear from you if you're going to be there. Get in touch if you'd like to grab a cofffee, or a beer!